SKU: 1413. 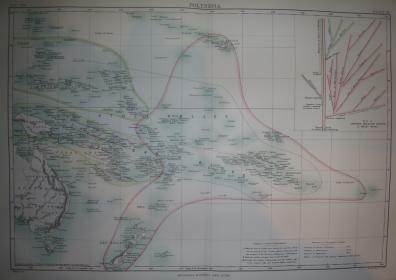 Categories: Oceania, United States, West Indies. 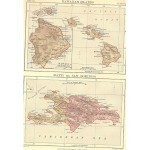 Tags: antique map, encyclopaedia britannica, geneology, Haiti, Hawaiin Islands, Hayti, original map, San Domingo. 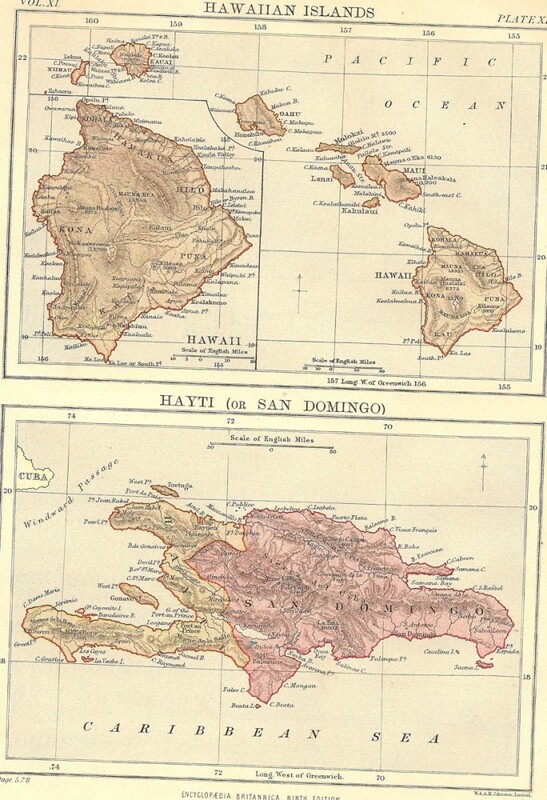 Hawaiian Islands and Hayti (or San Domingo). Chromolithograph published in the Encyclopaedia Britannica Ninth Edition. Known as the “Scholars Edition”. Published 1875-1889, by W.A.K. Johnston Ltd. A&C Black Edinburgh, Scotland. Image size approx. 9×7 inches. Hawaiian Islands & Hayti Haiti antique map, published in the Encyclopaedia Britannica Ninth Edition. Known as the “Scholars Edition”. Published 1875-1889. The Encyclopædia Britannica (Latin for “British Encyclopaedia”), published by Encyclopædia Britannica, Inc., is a general knowledge English-language encyclopaedia. It is written by about 100 full-time editors and more than 4,000 contributors, who have included 110 Nobel Prize winners and five American presidents. The 2010 version of the 15th edition, which spans 32 volumes and 32,640 pages, was the last printed edition; digital content and distribution has continued since then. The Britannica is the oldest English-language encyclopaedia still in production. It was first published between 1768 and 1771 in the Scottish capital of Edinburgh, as three volumes. The encyclopaedia grew in size: the second edition was 10 volumes, and by its fourth edition (1801–1810) it had expanded to 20 volumes. Its rising stature as a scholarly work helped recruit eminent contributors, and the 9th (1875–1889) and 11th editions (1911) are landmark encyclopaedias for scholarship and literary style. Beginning with the 11th edition and following its acquisition by an American firm, the Britannica shortened and simplified articles to broaden its appeal to the North American market. In 1933, the Britannica became the first encyclopaedia to adopt “continuous revision”, in which the encyclopaedia is continually reprinted, with every article updated on a schedule. In March 2012, Encyclopædia Britannica, Inc. announced it would no longer publish printed editions, and would focus instead on Encyclopædia Britannica Online. The 15th edition has a three-part structure: a 12-volume Micropædia of short articles (generally fewer than 750 words), a 17-volume Macropædia of long articles (two to 310 pages), and a single Propædia volume to give a hierarchical outline of knowledge. The Micropædia is meant for quick fact-checking and as a guide to the Macropædia; readers are advised to study the Propædia outline to understand a subject’s context and to find more detailed articles. Over 70 years, the size of the Britannica has remained steady, with about 40 million words on half a million topics. Though published in the United States since 1901, the Britannica has for the most part maintained British English spelling.published in the Encyclopaedia Britannica Ninth Edition. Known as the “Scholars Edition”. Published 1875-1889. The Encyclopædia Britannica (Latin for “British Encyclopaedia”), published by Encyclopædia Britannica, Inc., is a general knowledge English-language encyclopaedia. It is written by about 100 full-time editors and more than 4,000 contributors, who have included 110 Nobel Prize winners and five American presidents. The 2010 version of the 15th edition, which spans 32 volumes and 32,640 pages, was the last printed edition; digital content and distribution has continued since then. The Britannica is the oldest English-language encyclopaedia still in production. It was first published between 1768 and 1771 in the Scottish capital of Edinburgh, as three volumes. The encyclopaedia grew in size: the second edition was 10 volumes, and by its fourth edition (1801–1810) it had expanded to 20 volumes. Its rising stature as a scholarly work helped recruit eminent contributors, and the 9th (1875–1889) and 11th editions (1911) are landmark encyclopaedias for scholarship and literary style. 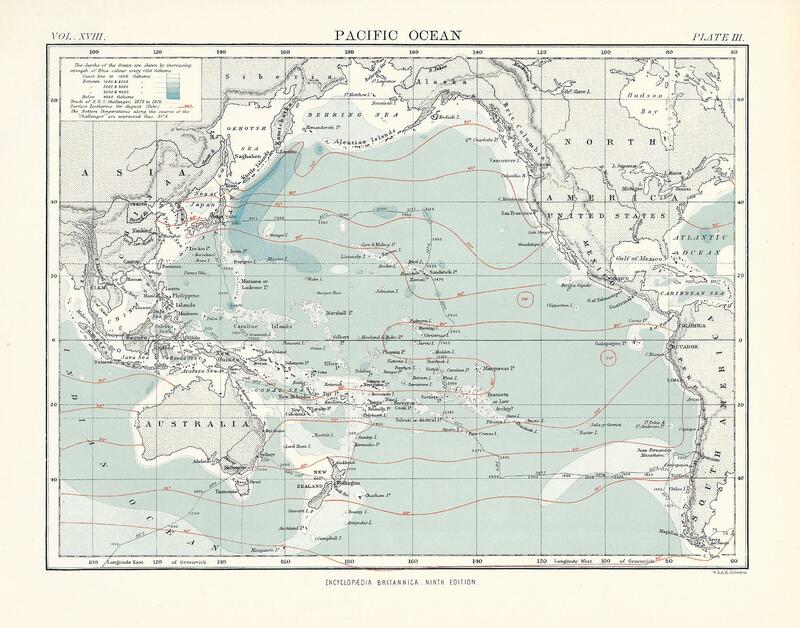 Beginning with the 11th edition and following its acquisition by an American firm, the Britannica shortened and simplified articles to broaden its appeal to the North American market. In 1933, the Britannica became the first encyclopaedia to adopt “continuous revision”, in which the encyclopaedia is continually reprinted, with every article updated on a schedule. In March 2012, Encyclopædia Britannica, Inc. announced it would no longer publish printed editions, and would focus instead on Encyclopædia Britannica Online. The 15th edition has a three-part structure: a 12-volume Micropædia of short articles (generally fewer than 750 words), a 17-volume Macropædia of long articles (two to 310 pages), and a single Propædia volume to give a hierarchical outline of knowledge. The Micropædia is meant for quick fact-checking and as a guide to the Macropædia; readers are advised to study the Propædia outline to understand a subject’s context and to find more detailed articles. Over 70 years, the size of the Britannica has remained steady, with about 40 million words on half a million topics. Though published in the United States since 1901, the Britannica has for the most part maintained British English spelling.published in the Encyclopaedia Britannica Ninth Edition. Known as the “Scholars Edition”. Published 1875-1889. The Encyclopædia Britannica (Latin for “British Encyclopaedia”), published by Encyclopædia Britannica, Inc., is a general knowledge English-language encyclopaedia. It is written by about 100 full-time editors and more than 4,000 contributors, who have included 110 Nobel Prize winners and five American presidents. The 2010 version of the 15th edition, which spans 32 volumes and 32,640 pages, was the last printed edition; digital content and distribution has continued since then. The Britannica is the oldest English-language encyclopaedia still in production. It was first published between 1768 and 1771 in the Scottish capital of Edinburgh, as three volumes. The encyclopaedia grew in size: the second edition was 10 volumes, and by its fourth edition (1801–1810) it had expanded to 20 volumes. Its rising stature as a scholarly work helped recruit eminent contributors, and the 9th (1875–1889) and 11th editions (1911) are landmark encyclopaedias for scholarship and literary style. Beginning with the 11th edition and following its acquisition by an American firm, the Britannica shortened and simplified articles to broaden its appeal to the North American market. In 1933, the Britannica became the first encyclopaedia to adopt “continuous revision”, in which the encyclopaedia is continually reprinted, with every article updated on a schedule. In March 2012, Encyclopædia Britannica, Inc. announced it would no longer publish printed editions, and would focus instead on Encyclopædia Britannica Online. The 15th edition has a three-part structure: a 12-volume Micropædia of short articles (generally fewer than 750 words), a 17-volume Macropædia of long articles (two to 310 pages), and a single Propædia volume to give a hierarchical outline of knowledge. The Micropædia is meant for quick fact-checking and as a guide to the Macropædia; readers are advised to study the Propædia outline to understand a subject’s context and to find more detailed articles. Over 70 years, the size of the Britannica has remained steady, with about 40 million words on half a million topics. Though published in the United States since 1901, the Britannica has for the most part maintained British English spelling.